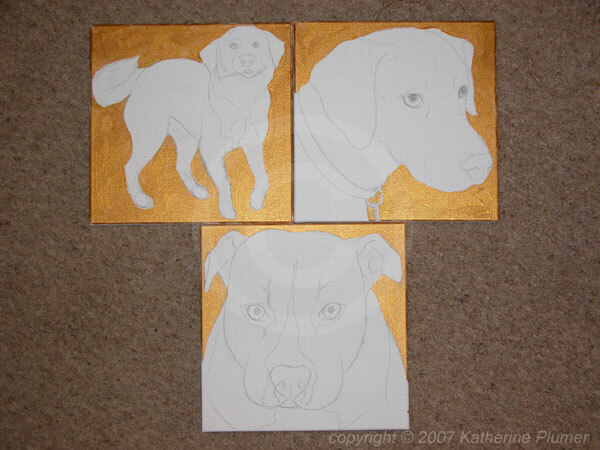 Figured I REALLY needed to go ahead and start these dog paintings, so this is just the background base coat. 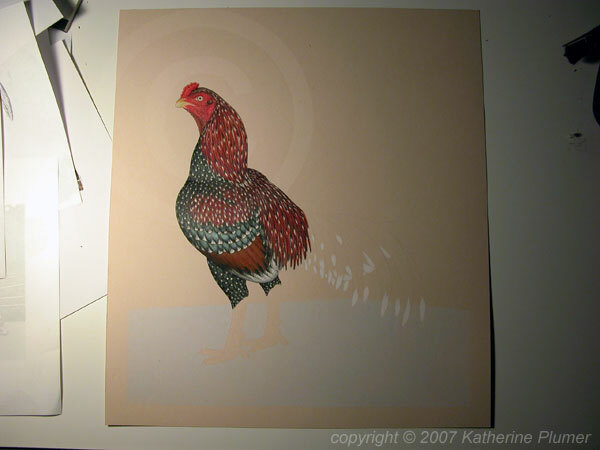 It's not that I haven't wanted to work on them, I've just been pretty immersed in chicken art. what color gold is that????? It's craft paint. DecoArt brand, Dazzling Metallics, Emperor's Gold. I don't even know if anybody still carries this stuff, I got it at Michael's years ago. I like the color, I need to find more of it. :-) Takes two coats to cover but it seems to be pretty good stuff, not gross matte textured like some craft paints.